Foodservice Equipment & Supplies connects with foodservice equipment and supplies decision makers through informational and educational content across a wide variety of platforms including print, websites, apps, e-newsletters, webcasts and social media. 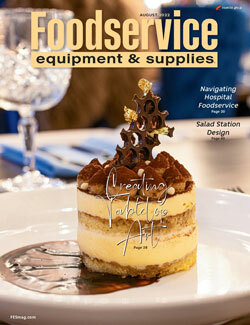 With a monthly magazine that serves more than 26,000 operators, dealers, distributors and consultants who work in the commercial foodservice market, Foodservice Equipment and Supplies is a vital component within the news and marketing elements of the $8.3B foodservice equipment and supplies marketplace. restaurant development + design is a user-driven resource for restaurant professionals charged with building new locations and remodeling existing units. 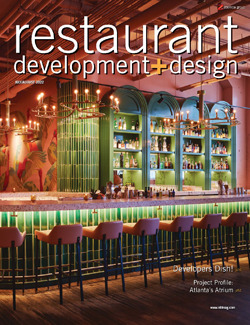 The magazine helps facilitate a conversation and exchange of ideas among restaurant development executives at the corporate and franchisee levels, design consultants, construction providers and other integral players in the building and renovation process. restaurant development + design provides a platform that allows these professionals from divergent backgrounds to come together to share best practices, perspectives and experiences in the pursuit of developing solutions they can apply in their work. Download the rd+d Media Kit.